It's time to Make Bananas Fair! 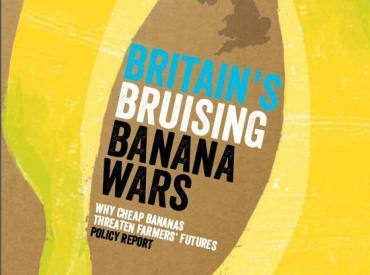 Today the Fairtrade Foundation released a policy report: ‘Britain's Bruising Banana Trade: How Cheap Bananas Threaten Farmer's Futures’, which sets out the case underpinning our campaign to make bananas fair. 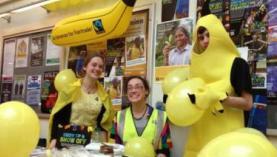 Read it, share it or use it to organise a panel debate during Fairtrade Fortnight. You can also find a summary here. They have also produced this Supermarket Scorecard which shows where the most action is needed to make bananas fair. Find out how your local supermarket scores against four criteria of the ultimate fair banana. Now we must show government how much the UK public cares about the millions who grow our favourite fruit, by building a massive petition to make bananas fair. 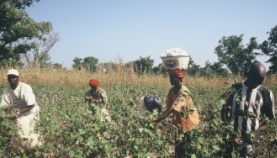 Have a great Fairtrade Fortnight!